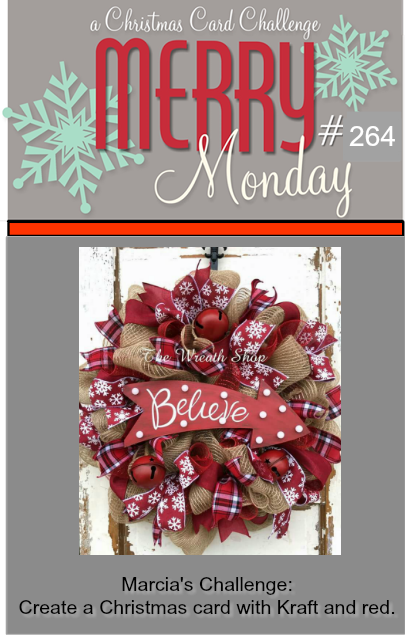 We have a new Merry Monday Christmas card challenge for you this morning. Marcia is our hostess and her challenge is to Create a Christmas card with kraft and red. I used an embossing folder to add texture to the base of my card. The squares and rectangles were die cut with stitched dies and I popped up the centre panel. I finished with some gems. Supplies: White cardstock, Designer Paper - American Crafts, SSS - Stitched dies, embossing folders and gems. 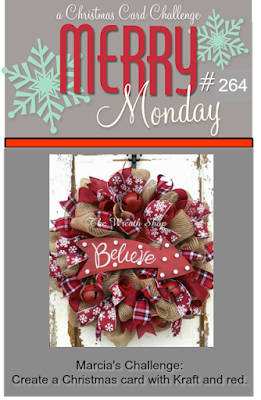 Stop by the Merry Monday blog to see all the fabulous cards created by the design team. Great texture with that embossed white background, Nina! Perfect with the plaid kraft blocks and the red one popped on top!! Lovely pattern paper and great embossed background. Lovely card, Nina. Have a great week. 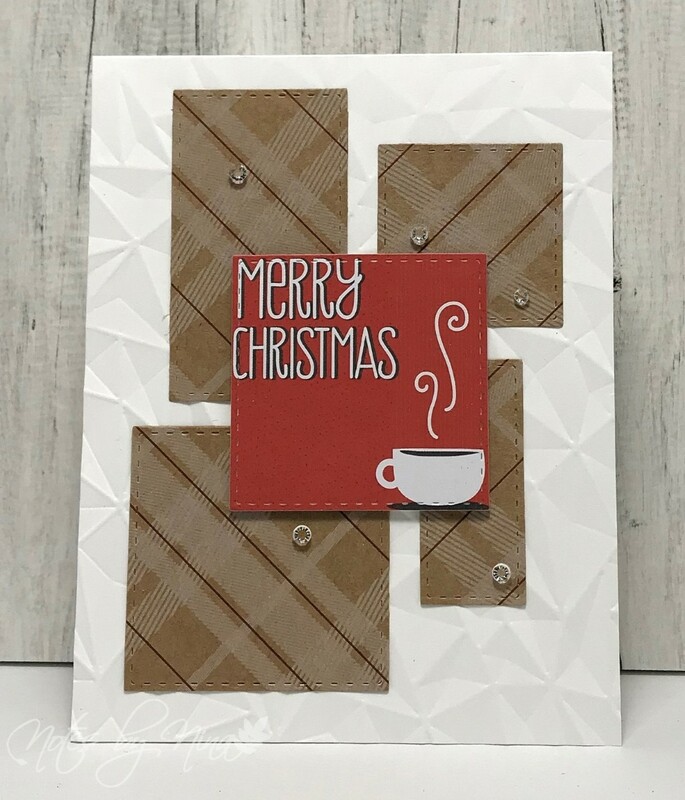 Love the design of your card with all the texture. Great card. Nina, this is so cute! You've created great texture! Darling! Love the plaid and your sweet little cup of coffee and the textured background Nina.